The Jianshui Nisu are part of the Yi nationality in China. Chinese records invariably mention two designations of Nisu in this part of the country: Hua Yao (Flowery Belt) and San Dao Hong (Three Stripes of Red). As one scholar found: "The Han titles are used in reference to costume differences; nevertheless, in this case, clothing styles correspond directly with the linguistic and cultural differences of two people groups - both of whom call themselves Nisu. 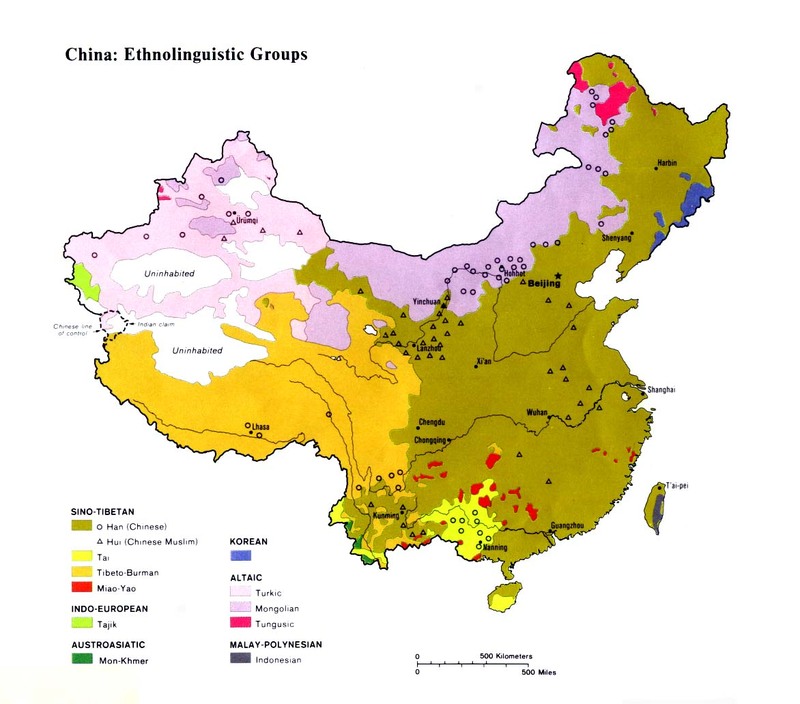 ... Garment differences vary among some of the Jianshui Nisu in Gejiu and Mengzi counties, however, and the title San Dao Hong is not always used to refer to this people." 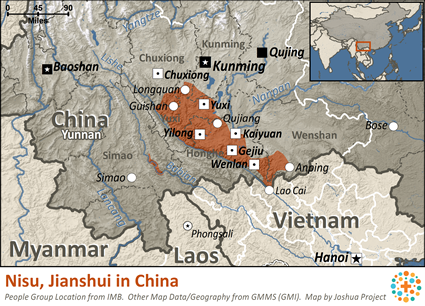 The Jianshui Nisu have been a dominant group in southern Yunnan for many centuries. Only during the past century have a small number of Jianshui Nisu been assimilated by Han Chinese who have settled in the area. 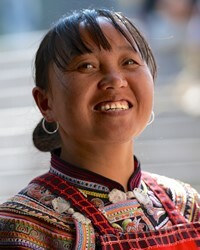 Women of this group living in Jianshui and Shiping counties wear three tightly wound stripes of red yarn in their hair, often partially covered by a red or white headdress. In Shiping County, "the family of the bride is to make a new costume to present to the bride on her wedding day. She is to keep this set of garments until the day she dies. The bride, in turn, makes a pair of pants from coarse cloth, with the leg holes sewn closed, and presents them to her groom on the wedding day. The groom, much to his chagrin, must put the pants on in front of all his guests during the wedding ceremony. The party judges the groom's intelligence based on how soon he is able to break his feet through the cuffs and put the pants on." The Jianshui Nisu worship numerous spirits, some of whom are considered benevolent and others evil. The first missionaries in Jianshui arrived in 1933 and stayed for two years. In 1945 a Presbyterian work began in Jianshui and was joined by two Italian missionaries. By 1950 there were a reported 200 Christians in Jianshui - all of them Han Chinese. In Shiping, a female missionary from the Seventh Day Adventists arrived in 1932. After a number of years she had gained about 30 disciples. All missionaries were expelled in 1949, but by 1958 there were still 50 believers in Shiping. Today there are a small number of Nisu Christians in the Gaoda District of Tonghai County. View Nisu, Jianshui in all countries. Location in Country: Approximately 370,000 Jianshui Nisu people are located in southern Yunnan Province, primarily in Shiping, Jianshui, Gejiu, and Mengzi counties in Honghe Prefecture. About 13,000 live in Tonghai and Eshan counties of Yuxi Prefecture.